This week’s installment of the #SBIDinspire series features AB Concept, 2016 finalist from the Restaurant category in the SBID Awards. 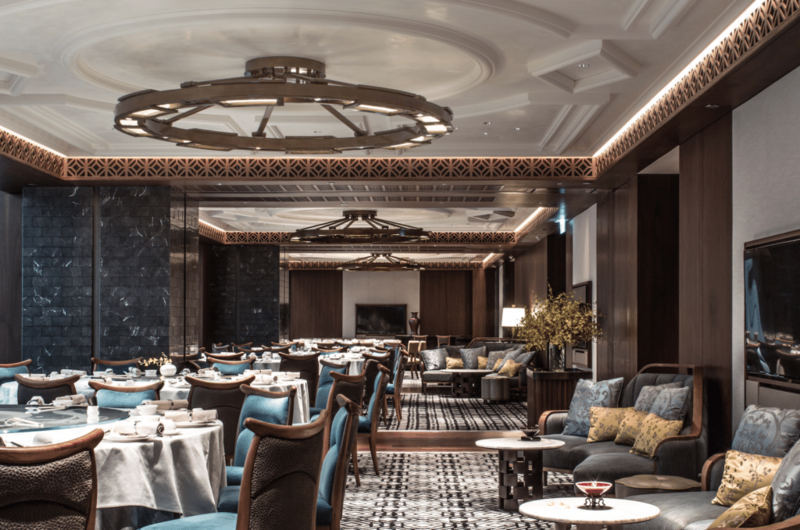 AB Concept are behind the striking Dynasty Restaurant project located in Hong Kong. 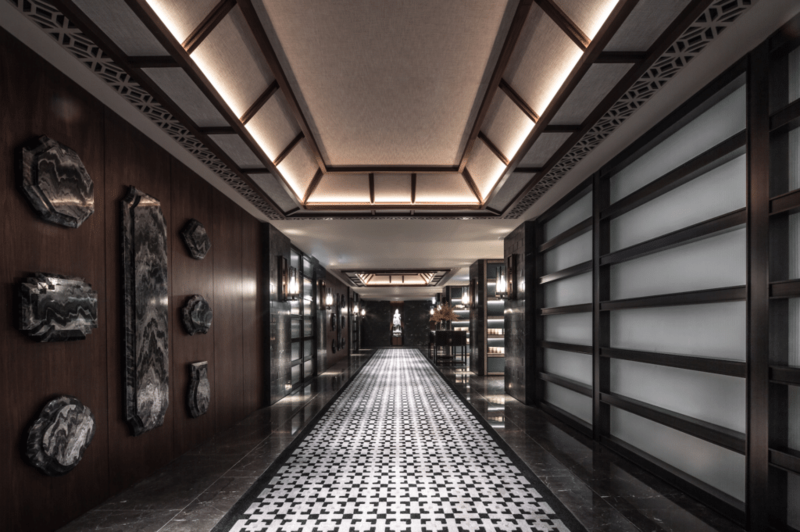 Inspired by the traditional Xiguan Mansions of Guangzhou in China, Dynasty Restaurant, meaning ‘Full of Happiness’, preserves the quintessential elements of the architecture and style of this heritage. 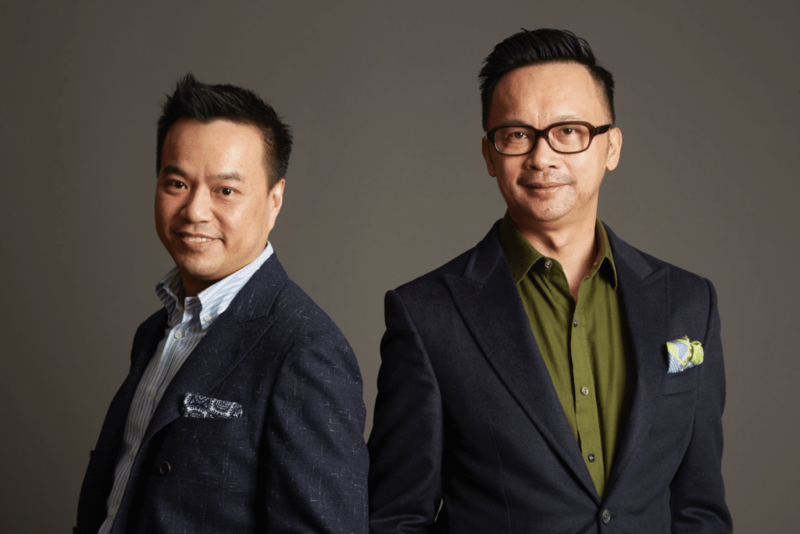 SBID had the opportunity to speak with Ed Ng and Terence Ngan, Founders of AB Concept. The clients were looking for a renovation of the iconic restaurant to enrich the space by telling a story from Chinese culture. Once we were able to pinpoint the direction we were headed towards in terms of overall design and architecturally, everything else flowed organically. The project was inspired by traditional Xiguan mansions of Guangzhou, China. Dynasty Restaurant, meaning “Full of Happiness” in Mandarin, preserves the quintessential elements of the architecture and style of this heritage. The challenge was retaining the history and core spirit of the established restaurant, whilst at the same time bringing a fresh and modern ambience to the space. 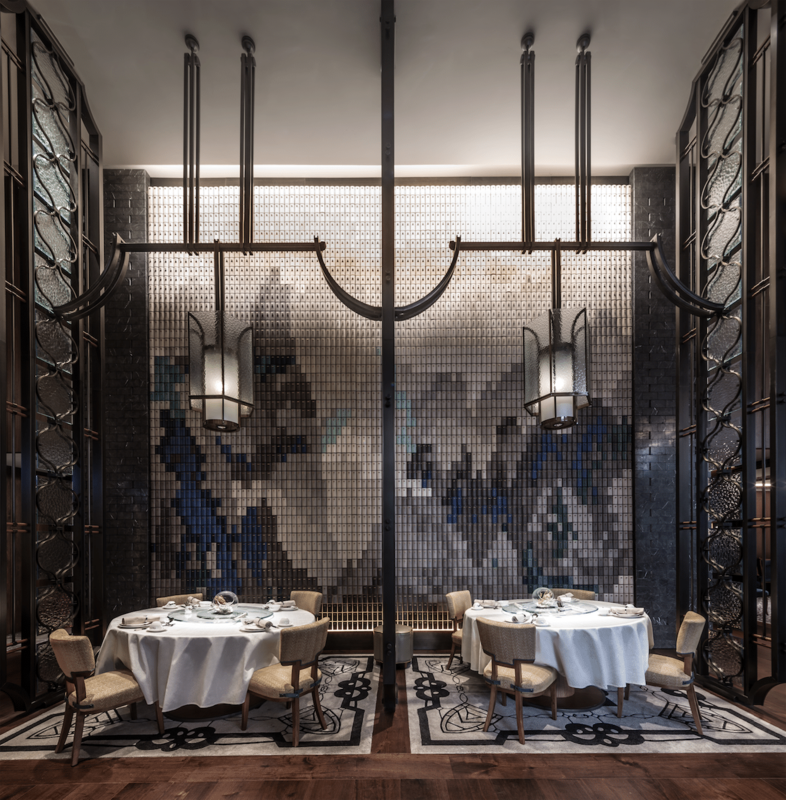 Without forgetting that the roots of the restaurant lie in its exceptional Cantonese cuisine, the concept of the Xiguan Mansion ties back to this history and heritage – this is expressed through the bamboo artwork that mimics the Lingnan landscape painting, grey bricks and motifs reminiscent of the era, exquisite window shapes, and each PDR named after the indigenous districts of the region. Our highlight was the feature artwork made out of bamboo pieces, which is an ode to a traditional Lingnan landscape painting and prominently display as the graceful focal point of the main dining area. Divided into two parts measuring 6×6 metres on one side and 6×10 metres on the other, the artwork is comprised of 13,600 pieces of bamboo and delicately layered over gold-leaf paper. The artwork was a customised piece and the largest bamboo painting display in Hong Kong. It was really a no brainer to submit our project, as the award is internationally recognised by all in the industry. It is a great platform to participate in, not only to share our recently completed projects, but to also engage with designers all over the world, finding inspirations and seeing what everyone else is doing in their practices.